June's Floral Company delivers flowers to Flushing, Michigan every day. 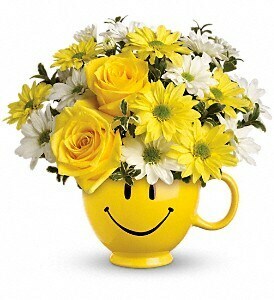 We also deliver to all Flushing hospitals, churches and funeral homes. Located in Genesse County, Flushing, Michigan, is a suburb of Flint. While this city of some 8,000 residents sits within Flushing Charter Township, it is an autonomous entity with its own administration. The southern border of Flushing is mostly made up of the Flint River. The city is 4.3 square miles in total area. Flushing was originally a railroad town settled in the 1830s. It was named by Charles Seymour, who moved to the area from Flushing, New York, and named the small community after his hometown. However, the original city of Flushing was itself named after Flushing, Netherlands, the city were many of the immigrants came from. June's Floral Company, The Wild Bird Feeder & Gift proudly serves the Mount Morris area. We are family owned and operated. We are committed to offering only the finest floral arrangements and gifts, backed by service that is friendly and prompt. Because all of our customers are important, our professional staff is dedicated to making your experience a pleasant one. That is why we always go the extra mile to make your floral gift perfect. Let June's Floral Company, The Wild Bird Feeder & Gift be your first choice for flowers. "When it comes to flowers, we handle all the arrangements."